What a difference! 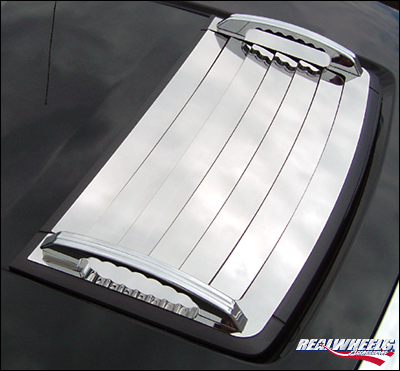 The Top Grille is a design feature found on all Hummer vehicles. Make sure your new H3 stands out from the crowd of other SUVs with this stainless steel top grille kit. Make an even bolder statement with the addition of optional billet aluminum handles. Installs in minutes! Top Grille is made from heavy-gauge, high quality 304L stainless steel that is absolutely guaranteed not to rust, pit, corrode, or ever lose its shine. Quick and easy attachment with heavy duty 3M tape. Model number reflects mirror finish. For diamond plate finish, add “DP” to model number (example: RW102-1DP-A0103) and 18% to price.